"Training at Hockey Alley was the key to my hockey success. Their passion for the game gave me the drive to succeed in hockey and in life. Steve, Rosemarie, and Jack are not only coaches, but also mentors and great friends. We love you guys. ONE MORE!" "Our son Cade is a seven year old goalie who began skating at 18 mos and started training as a goalie at Hockey Alley when he was five years old. The success and progression that Cade has made over the past two years is incredible! I fully attribute Cade's success to the quality training that he has received from Steve and Jack. 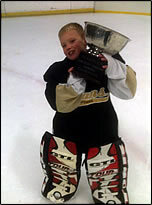 In addition to the family atmosphere, there isn't any other goalie training facility in the area that can compare to the training that Hockey Alley has provided to our son!" 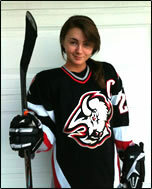 "In the year 2006, I decided to lace up the skates, get new gear, and get back into playing ice hockey. At the age of 53, I trained most of 2006 and did public skating to get my edges back. 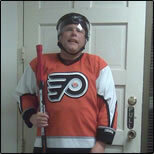 After 30 years of being off the ice, in January of 2007 I played in my first pick up game. Today's players have higher all-round skills. I wanted to be more competitive. In 2007-2008 I took lessons at Hockey Alley. 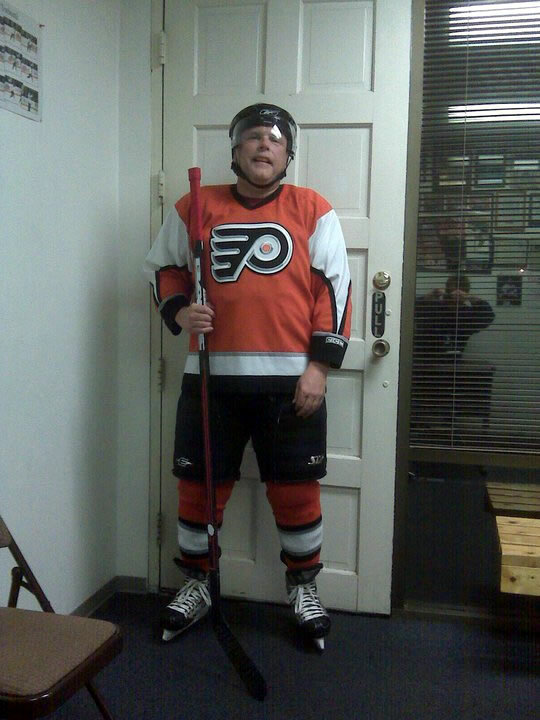 Today, I attend many Saturday power skating sessions and regularly play Tuesday night 2-on-2 hockey at Hockey Alley year-round. I can play in the best pickups at any area rink. I play in Division 2 and 3 over 18 adult league teams, yes, even with the 20 to 30-something age players. 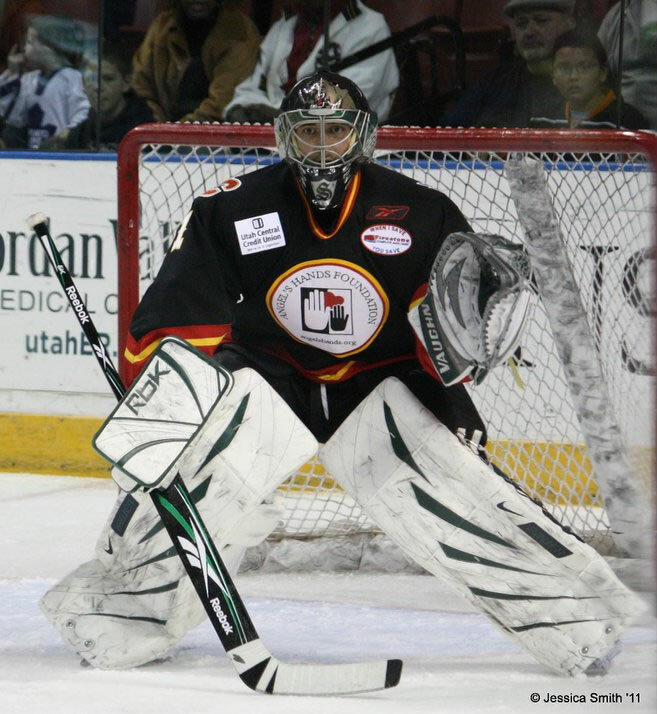 Jack and Steve Mildengren have put real hockey back into in my life, improved my personal training, and for that I am truly grateful." 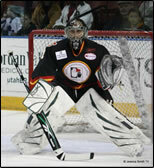 "Hockey Alley has worked wonders for not only the numerous shots I take, but my conditioning as well. The Hockey Alley group improved my shots velocity, speed, accuracy, and did this in a timely manner. The repetitions that I took and positive motivation made me work harder, thus improving my conditioning. The more I went, the better everything got. Practice doesn't make perfect, it makes permanent — and these guys know how to give you a permanent, and perfect, shot." 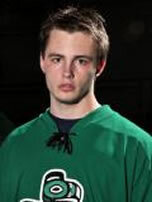 "I became interested in hockey in December of 2009 when I was 13. I have been playing for about a year now. Luckily, the first experience I had with hockey came from Jack and Steve who introduced me to not only the love of the game but also the necessary skills and beyond. After just a few months of private training, people thought I had been skating for years. The hockey skills I’ve learned at Hockey Alley have helped me progress faster than just being on a team alone. The one-on-one instruction really lets you focus on your strengths, and on eliminating your weaknesses."